A painting by Turner shows a black servant who is well-dressed and evidently enjoys high status among his workmates. Harvest Home was painted by Turner on his second visit to Cassiobury. 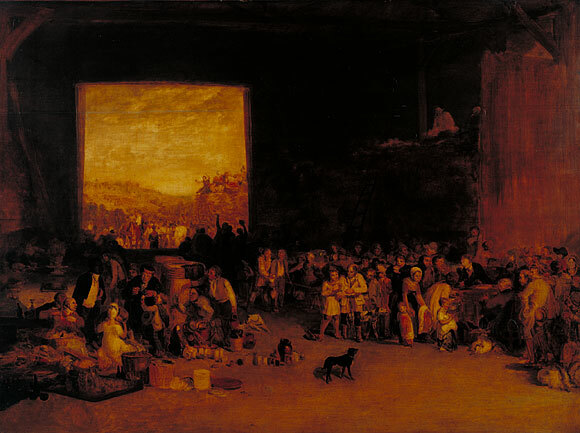 The unfinished painting shows a harvest dinner in one of the barns, with a black servant as one of the key figures. 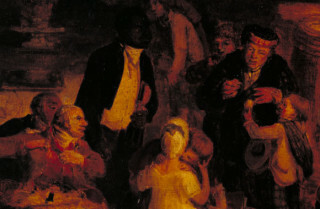 Turner’s painting gives an entirely different perspective to the usual depiction of black servants in the art of the time. Instead of positioning the servant at the edge of the canvas, the picture gives a sense of how important he was in the hierarchy of staff at Cassiobury. This page was added on 29/08/2006.